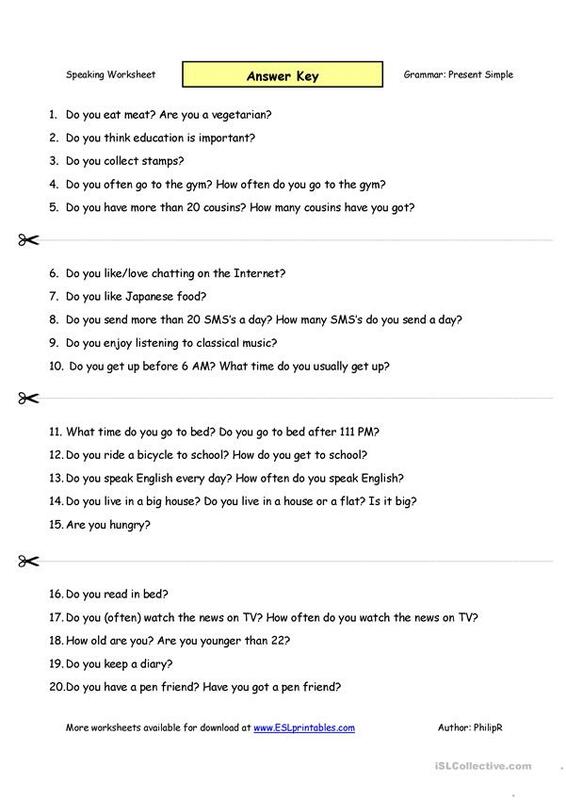 Second set of 20 prompts (Find someone who) which students have to use to make correct present simple questions. 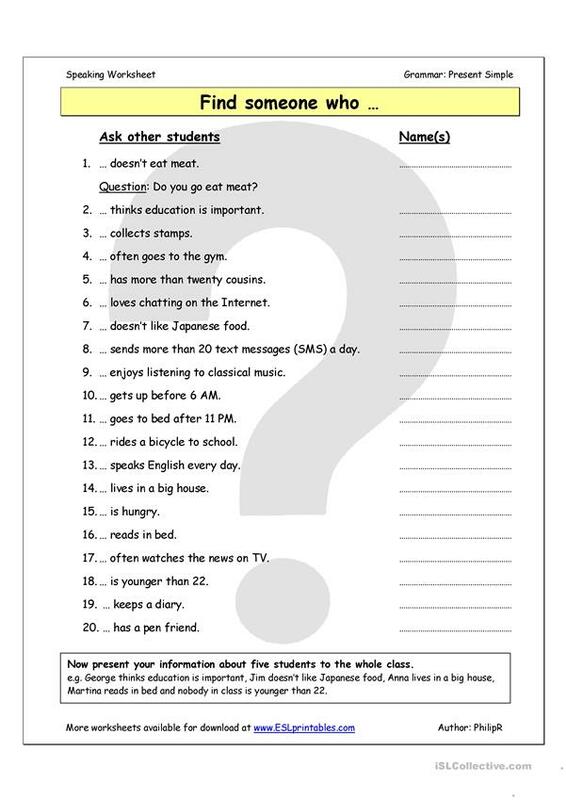 This worksheet can be used individually, as a whole class exercise or for group or pair work (on the second page the questions are divided into 4 sets of 5 questions). Students can mill around the classroom if so desired, asking and answering questions. Answer key included. This downloadable teaching material is recommended for business/professional students, high school students, elementary school students and adults at Elementary (A1) and Pre-intermediate (A2) level. It is aimed at practising Questions in English, and is useful for strengthening your groups' Listening, Speaking and Reading skills. There is a key provided with the exercises.